ADC’s surface drilling rigs guarantee high-quality core samples, provided efficiently, safely, and ecologically. The rubber tracks used in the Surface range make these rigs environmentally friendly, quiet, and suitable for all types of terrain. The power, torque, and high-performance components of the rigs allow for drilling holes up to 2,000 metres deep. 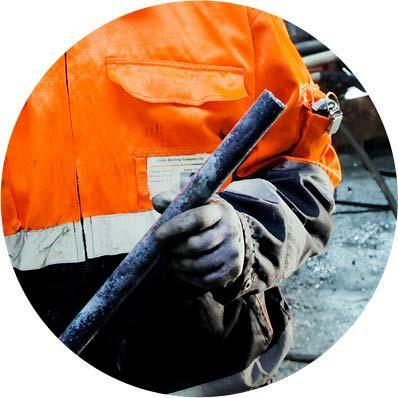 The interior of a surface drilling rig is testament to the special attention paid to investing in drillers’ occupational safety and ergonomics. The rigs can be fully customised in line with the customer’s needs. You can read more about our Surface range under ‘Features’. Handling samples and doing the drilling work are taken care of from the rig’s safe and ergonomic interior. The drilling rig has a fixed frame and canopy top. Optional exhaust-operated floor heating is available, guaranteeing comfortable work also during the winter. In moving of the rig, control is performed safely with a remote controller, ensuring the personnel’s occupational safety. The Surface-range rigs can optionally be equipped with a completely new type of rod handling robot, which significantly increases working safety. The rubber tracks used in Surface-range rigs create lower surface pressure on the soil than the human foot does; therefore, moving the rig on the terrain does not harm the environment. Arctic Drilling Company offers an optional, fully closed combined water circulation and cleaning system for the rigs, which does not release dirty water into nature. Through recycling, also the use of drilling chemicals is reduced, which decreases costs. In drilling, just as in everything else, time is money. That money is saved in the moving and positioning of the ADC surface unit and its design, which allows a long maintenance interval. Each Surface-range rig has been designed to move about on terrain where traditional rigs cannot move, thereby eliminating the need to build a driveable road to the drilling site, along with the associated cost. All of our rigs have been designed to be as user-friendly as possible in their functions and serviceability. This goal is supported best by ADC-developed automatic control for drilling, which makes the drilling worry-free and allows service operations to be performed while drilling is in progress. We always see to the proper training and instruction of the operator of the rig, so that working with the rig and servicing it are efficient and safe from the very beginning. The high-efficiency power source of ADC’s surface drilling rig combines with the use of only high-quality components to guarantees sufficient power even in deep drilling. A Surface-range rig is flexible, working well with several types of drilling equipment. The following are only a few examples of performance with various types of equipment: 2,100 m with BQ equipment, 1,700 m with NQ equipment, and 1,100 m with HQ equipment. ADC’s surface drilling rigs move with dexterity while preserving the environment, at a speed of 10 km/h even on challenging terrain. The rig’s compact design and dimensions allow the rig’s navigation to the most challenging of drilling sites. 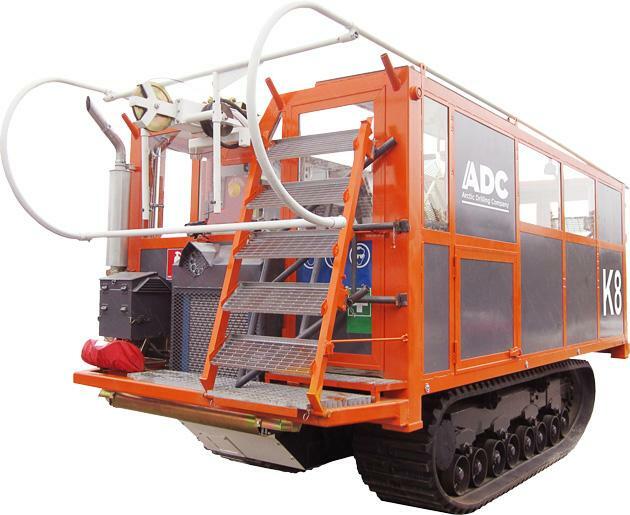 ADC’s surface drilling unit offers many drilling methods, all in one convenient unit. This rig has been designed with comfortable work and an ergonomic workspace in mind, and it is extremely easy to use and move. The rig’s high-power diesel engine allows holes to be drilled to a depth of two kilometres.